IMG_5657, originally uploaded by ultraclay!. 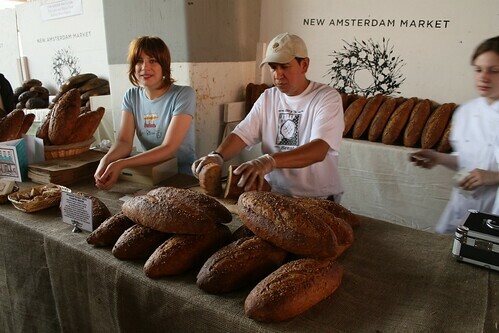 One last word on the New Amsterdam Market. Tammi picked up a loaf of bread from Amy’s Bread and loved it. As described by her, when she asked about what was in the bread, they listed all things whole wheat and organic, topped with sea salt. I’m wholly unfamiliar with such things, so all I can say is that it was delicious. The entire loaf was gone before the end of the night.